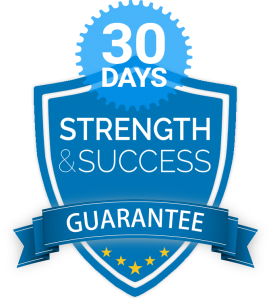 By the end of the course you'll literally have a blueprint that will enable you to build the business of your dreams working with athletes and athletic people! Train Athletes Get Paid is here....reserve your space TODAY! We have 3 spaces left. The full price for the course is £1100 however you can grab your space for just £750 (or two payments of £380) NOW! 'Train Athletes Get Paid' is the strength and conditioning coach business blueprint. It's 110% specific to working with athletes for a living.It pains me to see so many coaches struggling to make a living when with the skill set and passion they have they should be incredibly successful. This is the solution to enable you to avoid the pain that I did and instead you can grow your income exponentially and make the impact you’re looking to make. No one will work with you if they don't know who you are. You'll learn our S&C Coach positioning model that will mean everyone in your area knows about what you do and who you are and they will be knocking on your door demanding that you train them! I’ll show you ALL the business models that S&C coaches can utilise to coach athletes of all different backgrounds and sports. Some of the models work better for certain sports, some work best online, etc etc. You'll be able to design your perfect business from this session alone. It's one thing having the skills to get results but you MUST also have the ability to attract the athletes and clients you're looking to work with. This marketing system is different to any other in that it's specifically designed to attract athletes and coaches. You can choose who you want to work with and set it on autopilot. You'll leave the workshop with a crystal clear plan on how to generate your first £50K training athletes. The models, the marketing, the systems and the programmes that you need to use. It's all there, tried and tested for you. Fir the first time ever you'll have the clarity that you've needed for so long to work with this exciting population. Not only will you have a plan to make the impact that gives you your first £50k in sales but you'll also have the plans to scale this business to wherever you want to take it. Perhaps you want to open that performance gym, go online, work as a consultant, travel the world with teams. It all starts here and you will be abundantly clear when you leave the course. Each and every one of us have unique challenges that we need to identify and overcome to unlock the potential within us. We will work together to identify your limiting beliefs and figure out a clear route to overcoming them. I always say to people that the quickest way to grow your business is to grow yourself first. Once you are thinking like a successful business owner you will undoubtedly become one! Join us for Train Athletes Get Paid NOW. The full price for the course is £1100 (tremendous value especially when you take a look at the bonuses involved). You can grab your space for just £750 NOW. Bonus # 1: The Legends Video Coaching Course . Learn from true strength and conditioning greats Vern Gambetta, Dan Baker, Dan John and Ron McKeefery in this video coaching course from 4 of the true pioneers of the profession. This is a highly valuable course that combined is worth £650. Bonus # 2: My ENTIRE sport specific programme template library. You'll get excel templates for EVERY major sport, periodised plans and programmes. Everything is covered. You can modify them to suit and learn what works for ALL sports. This is a huge bonus worth over £500. Bonus # 3: A personalised coaching session with me! 7 days after the event we will get together for a coaching session to revisit the learnings from the course, how you are going to apply them and make sure you get EVERYTHING you need from me in this session.